Advent Calendar Door 9: Hiding a ribbon in SharePoint page, view or form. 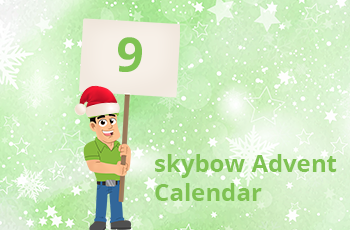 A quick one – but a classical one – for the 9th cookie in this year’s skybow Advent Calendar: how do I hide a ribbon in SharePoint? 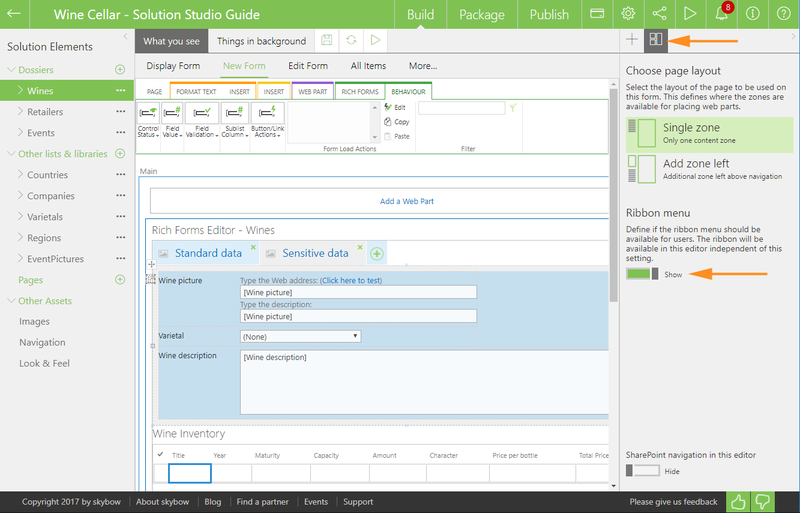 Very simple: in skybow Solution Studio, regardless if in page, view or form, select the “layout” icon in the toolbox on the right side, and just switch off the “Ribbon menu” togle. Voila, it’s gone. Don’t forget to replace the ribbon functionality either with Action Links or with buttons. Isn’t this cool? Sure, because skybow.